Tired of digging around in your library folder to install simulator builds? Need to distribute simulator builds to non-technical people in your organization? 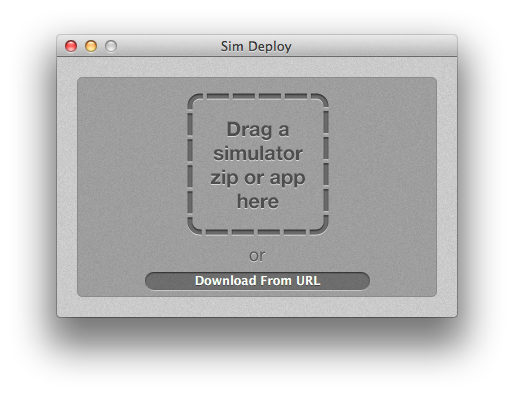 Sim Deploy provides drag and drop installation of iOS simulator builds. Delivering simulator builds with the click of a link is easy - just create a link formatted like this. Using Sim Deploy with a continuous integration server like Jenkins, Hudson, or Cruise Control couldn't be easier - in fact, this scenario is exactly why we built support for a custom URL Scheme.